ElliottWaveUltimate | Elliott Wave, Harmonics, and Fibonacci trading system ElliottWaveUltimate | Elliott Wave, Harmonics, and Fibonacci trading system – Learn to trade using Elliott Wave theory, Fibonacci, harmonic patterns, and our proprietary trading system. With this course you will learn how to map the trends and corrections with Elliott Wave analysis together with the Fibonacci tool, in order to trigger high probability entries and exits using the Wavy Tunnel. Attention All Traders: Consistently find trades and profit in all market cycles on any time frame - finally understand where to enter and exit each trade! Proven Trading Method Nails High Probability Elliott Wave Set Ups – using new SCANNER that finds trades! ...Without Becoming A Wave Counting Expert! No matter who you are, what method you subscribe to, or what trading ability you currently possess, there is one thing we all have in common – we all want to get in front of the big market moves and grow our account while avoiding the risk that often overcomes us. We all see these BIG MOVES on a chart and dream of ways to capture them, constantly searching for methods that might allow us to catch these moves and use our account to generate a stream of cash. For some traders its a reality to make an absolute killing in just a few hours a day EVERY DAY – and then there’s the majority. In fact 90% of all traders who throw in the towel year after year do so because they never find consistent profits. This is a complete system and method that will allow your trading to afford you financial freedom you have always dreamed of. 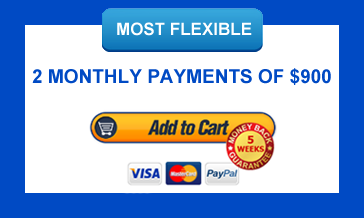 From paying bills to purchasing houses, this system can grant you that potential. Over 30 Years in the Making, a Chance Meeting, and Some Good Luck! This all started back in the early 1980′s when Jody Samuels was one of the first female Interbank British Pound Forex traders out there. She worked for JP Morgan and traded the GBP/USD quite successfully during the period when the currency moved from 2.40 to 1.05 and back to 1.60. One of her colleagues was the Elliott Wave Analyst on the desk, providing daily WAVE COUNTS and technical analysis to the traders. In fact, today his Daily Commentaries based on solid wave counts help thousands of institutional traders globally make money. Fast track to the late nineties, Jody attended several Las Vegas Trading Conferences where she learned from many trading gurus and began studying with Bill Williams who taught her all about the Awesome Oscillator and how it could be applied to Elliott Wave analysis, giving traders the ability to track waves without being a wave count pro. Fast forward five more years, she ventured into the online trading community to “see what was out there in the retail world of trading”. This is when Jody realized that with a little Elliott Wave knowledge their trades would be so much more profitable. This was the beginning of Jody’s quest to bridge the gap between the BIG BANKS and the LITTLE GUY and finally piece together the components that would make up the Wavy Tunnel trading methodology and allow the little guy to use the same Wave Counts BIG BANKS use to make millions in an easy to follow rule based system. But this isn’t the end of the story. Over the last few years Jody begin studying Harmonic Patterns and made an awesome discovery. When she mapped together the Elliott Wave Counts with Harmonic Patterns a huge light bulb went on and she was able to pinpoint with precision the end of the SWING MOVES. The “Ultimate” Wavy Tunnel PLUS System was Born! 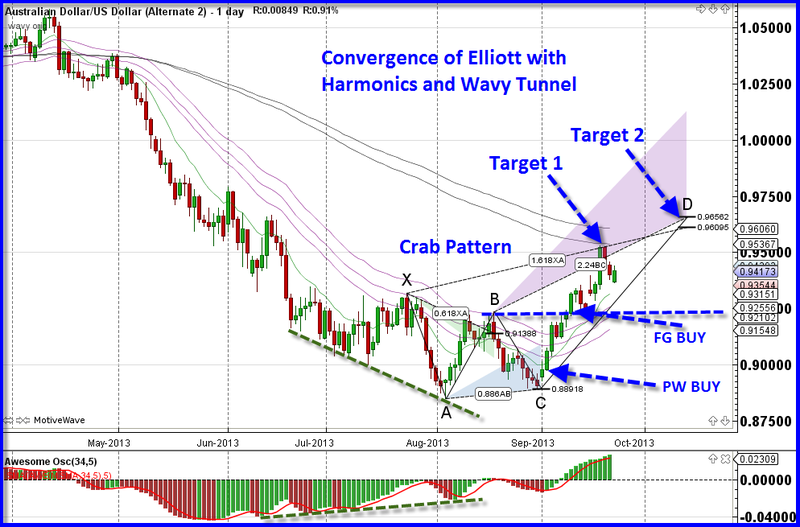 Pinpoint Elliott Wave and Harmonic Set Ups Almost Automatically at Your Desk, on Your Own. Before Jody developed the six “Ultimate” Wavy Tunnel PLUS trade setups she would struggle with her timing in getting into trades. It’s one thing to be pretty sure about Wave Counts and Harmonic Patterns, but its entirely another to turn that information into a trigger entry, stop and profit target. It’s even harder to forecast possible outcomes, and be prepared for every possible scenario. Then one day, it all came together when she was involved in an online trading room, looking at some charts on the screen that screamed out, “This is your Elliott Wave Chart Setup!” That one fateful day made the connection in her brain between Elliott Wave Counting, Harmonic Patterns and the Chart Setup that led to the Six Wavy Tunnel trades. What she became keenly aware of that day was that there were a handful of setups that put it all together in her mind. With all that knowledge and information a method for trading Elliott and Harmonic Patterns was instantly born that could point out these set-ups so simply that anyone could do it. The gap between the Big Banks and their huge dollar profits and the little guy was bridged! The Wavy Tunnel PLUS system has evolved to take advantage of the Waves and Harmonic Patterns that pay consistently. What you will learn in this series of videos and manuals will allow you to trade at a level reserved for institutional traders. If you trade according to reasonably accurate wave counts with a basic understanding of Fibonacci you separate yourself from the pack immediately. When you go long or short according to Elliott Wave counts, confirmed by precise Fibonacci-based Harmonic Patterns, and use a Top Down Approach, you improve your odds dramatically because you see the big picture. The question you must be asking is, “How do I trade like the banks and how do I include Wave Counting and Harmonic Patterns in my analysis if I am not an Elliott Wave – Harmonic professional?” Keep reading because you’re about to see a methodology so powerful that IT WILL ALLOW YOU TO TRADE THE PATTERNS VERY EASILY! After successfully trading this system Jody put together a team of professionals and decided to offer it to the “little guy” to see if her theory was true; that an average trader could take this system and successfully identify Elliott Wave and Harmonic Patterns and profit from them. People were extremely successful from all walks of life and trading any asset class! Meet our Team – Juan, Neil, Vince, Fernando and Rob, who have been using this method and working with traders the last few years with excellent results. The good news is that each member of the team has made the original Wavy Tunnel system even better with their individual styles! The “Ultimate” Wavy Tunnel Plus now includes additional confirmations to fine tune entries and exits. Juan and Fernando provide precise Wave Counts on many markets with excellent results. Vince and Fernando are the resident Harmonics experts. Rob’s weekly analysis of stocks using the Wavy Tunnel provide traders with a great Roadmap to follow during the week. Finally, Neil and Vince run the LDN and NY Trading Rooms and add their own unique style to trading the markets. Jody firmly believes that this methodology will work as long as there are human beings trading the markets. The Wavy Tunnel system relies on the masses, just the same way that Elliott Wave and Harmonic theory does. Finally, a way to identify trend and continuation patterns while counting waves without really “counting the waves” is possible! And, it is through the “Ultimate” Wavy Tunnel PLUS Methodology that the little guy can finally count the waves! You will use a prescribed top down approach to asset classes enabling you to go where the money is – trading only where there is a high probability of profits. All modules are HD video recorded and posted in the members area when released. Module 1 builds a solid foundation in the Elliott Wave analysis in you. By internalizing the basic wave patterns and the wave characteristics, you will start to understand the market as repeated cycles, and grow the instinct to recognize the large trend moves. You will also be introduced to the application of Fibonacci on wave counting, projections, and retracements. Finally, you will learn a set of rules that you will use to tell whether your wave counts are wrong. There are two types of wave patterns -- the Impulsive Wave Patterns and the Corrective Wave Patterns. The Impulsive Wave Patterns are dissected in Module 2. We will look at all possible wave structures, from the most common wave structures to the diagonal wave structures (typically found at the end of trends). You will learn the rules and guidelines which apply to impulsive waves, along with the Fibonacci projection guidelines to calculate targets on trend moves. Finally, you will pick up a step-by-step approach for determining the End of a Trend. This makes you an expert at finding the end of a move. You will know when to be in the trend and when not to be in it! In Module 3, Corrective Wave Patterns are analyzed, so that after studying the Zig Zags, Flats, Triangles and Combinations, you will become a seasoned corrective pattern aficionado. Similar to Module 2, you will learn the rules and guidelines of Corrective Waves and the Fibonacci retracement levels that apply to each type. By learning these continuation patterns, you will be tuned in to when the trend will continue and make sure you are on board early. This is when you piece everything you learn together into a complete picture! Here you will be given the Elliott Wave Trading Map that guides you in determining the position sizing on a trend move. You will learn how to maximize your profit by increasing your position size during a Wave 3, and scaling down during corrective moves. Also, Multiple Time Frame Analysis shows you how to conduct a top down approach so that you are comfortable trading on the smaller time frame once you understand the big picture. As a bonus, I will share with you how you can keep a Daily Trading Journal. In Module 1, you will understand the background behind the Fibonacci Sequence. You will look at the market cycles to see how the market expands and contracts in proportion to Fibonacci ratios. You will see how Fibonacci plays a role in Elliott Wave Theory. Module 2 explains the background behind Fibonacci Numbers in Ratio Analysis. You will understand how Fibonacci Retracements play a role in Market Contractions and Fibonacci Projections in Market Expansions. You will review the theory behind the Elliott Retracement and Trend Waves. "Counting Waves Without Counting Waves?" As mentioned previously, using the Wavy Tunnel PRO strategy, with the Awesome Oscillator, you can easily find out what "wave" you are in without really counting the waves. Check out the videos in the "Tip Clips" section in the course site, to witness how one of our traders captured Waves 3, 4, and 5 with the Wavy Tunnel and oscillator... without being able to read waves like an Elliott Wave expert. But what if you are keen in learning how to count waves? We got you covered too. Section I of this course helps you build up the foundation in Elliott Wave. From the 4 modules in it, you'll pick up the knowledge of the wave patterns, their characteristics, the application of Fibonacci... and how to count the waves. If you want to master the skill of wave counting, these modules can definitely help you do so. In our bonuses, we also host several “wave counting” live webinars to hone those wave counting skills! Or if you don't, at least when you get external help from our in-house Elliott Wave counter and strategist, you will be able to interpret the wave counts presented to you. This is the real deal. We offer these skills to our students, and you can choose which skills you want to learn! Section III – The Wavy Tunnel PRO Methodology – New & Improved! You will first be given an overview of the Wavy Tunnel PRO methodology. Right after that, you can jump into setting up the strategy on your charts. We will revisit the concept of market cycles — but this time in the context of the Wavy Tunnel, so that later in this Section, you can easily decide which Wavy Tunnel trade setups you should apply to each cycle. The 6 Wavy Tunnel setups will be revealed – PW, FG, and BO-1, BO-2, BO-3 and BO-4. You can instantly see how you can trade any phase of the market cycles with these setups! Module 2 details the 4 Trend Following Break Out Trades – BO-1, BO-2, BO-3 and BO-4. You will pick up how you can enter and exit a trade like a pro, with exact timing in a trend-following trade. You will understand how to set stop losses and determine your profit taking exit strategy. Several market examples show you how you can use these setups to successfully profit from trend following trades. Module 3 unveils the 2 strategies to trade the End of Trend, namely the Price to Wave (PW) and the Fill the Gap (FG) setups. You will learn how to spot the setup, trigger the entry, set the stop loss, and take your profits. These two trade setups will highlight low risk entry points and various exit points. Several market examples illustrate these two End of Trend Trades. Warren Buffet said, "Risk comes from not knowing what you're doing." In this module, you'll learn to see the synergies of your trade between different time frames (5-minutes, 15-minutes, 1-hour, 4-hours, 1-day, etc) with the Multiple Time Frame Analysis technique. Four trade management strategies are discussed — which one to choose is a function of your experience. You'll also learn to determine the Potential Profit Area and use the "The 3 Profiteers" to take profits at various levels (perfectionist — this is for you!). Lastly, we'll show you an easy-to-follow entry methodology, the 123 Reversal. This is where we prepare you for the "rubber hits the road" moment! In Module 5, you will learn how to improve your trade entries with the candlestick patterns. Both bullish and bearish patterns (e.g. the engulfing patterns, morning/evening stars, hammer, inverted hammer, hanging man, shooting star, etc) are covered. You will learn to plan your trade, and trade your plan, and understand the importance of properly documenting and reviewing your trades. All these are illustrated by analyzing actual trades. We will go through several post-mortems together, by looking at charts and figures from real trade examples. Module 6 links Elliott Wave counts with the Wavy Tunnel so that you begin to understand what impulsive and corrective waves look like in Wavy Tunnel land. Learn how you can visually "see" what wave you are in, by applying the Wavy Tunnel with the Awesome Oscillator — no sophisticated wave counting is required! Also, you will learn the technique to reduce the noise from the price swings using Renko charts. Module 7 - Wavy Tunnel PRO – New! The original Wavy Tunnel just got better with the introduction of the Bungee and Semaphores into it! These indicators improve the entries and exits for the 6 Wavy Tunnel Setups. They are used daily with the wave counts to find trades — and you too can use them to build confidence in your trades! We also introduce a variation to complement the Awesome Oscillator, for you to fine-tune your entries. Finally, tons of examples in this module will familiarize you with this powerful Wavy Tunnel PRO methodology. You will be ready to pull the trigger immediately following this module! In Module 1, you will understand the background behind Harmonic Patterns. Revisit Fibonacci in the context of the FIBO relationships in Harmonic Patterns. Learn Harmonic Pattern details for Trend and End of Trend Setups. Begin picturing yourself Riding the Waves and Cashing in on Profits using the Wavy Tunnel with Harmonics. In Module 2, you will begin Harmonic Pattern study with the basic building block, the AB=CD pattern. Revisit Fibonacci in the Context of the AB=CD Converging with a Key FIBO Level of a Prior Swing Move. Learn Details for plotting the AB=CD Ideal and Alternate Patterns. Internalize Looking Left for Confirmation and Begin to Recognize Time and Price Symmetry. In this module, you will leave understanding the background behind the Retracement Patterns. You will apply Fibonacci Ratios to find Retracement Pattern Price Targets in the Convergence Zone. Learn Details for plotting the Gartley, Bat, Reciprocal AB=CD and 5-0 Patterns. Draw out Patterns with Examples. In this module, you will be able to distinguish between the Extension and Retracement Patterns. You will apply Fibonacci Ratios to find Extension Pattern Price Targets in the Convergence Zone. Learn Details for plotting the Butterfly, Crab, and Three Drives Patterns. Learn to see these patterns in the context of the 6 Wavy Tunnel setups. In this module, you will have a thorough review of trend and end of trend trade setups. You will also see which Harmonic patterns fit in with the Trend trades and the End of Trend Trades. Finally, you will develop a blueprint for fine tuning the 6 Wavy Tunnel setups with the Harmonic Fibonacci targets. You will truly understand what it means to see the same market with different lenses! In Module 6, you will have the opportunity to review and learn from 3 Case Studies. Become a Conductor in your Trading Business! My team and I will host a series of 16 Live Coaching Webinars, covering all modules in the course. We will show you up-to-date trading examples from the currency, cryptocurrency, commodity and stock markets to help you appreciate the concepts. You will see it 'live' how we bring together the Elliott Wave and Fibonacci with the Wavy Tunnel PRO, to highlight the high probability trade setups. From time to time, special webinars will also be conducted on topics such as counting waves, trading platforms and charting services. We encourage you to come prepared! Bring your questions to the webinars -- we will answer them all. This is also a good chance for you to learn from your fellow traders. We could easily charge $200 per person for each of these in-depth coaching sessions, but it's yours for FREE. The same information that will be presented in the Live Webinars will be available for you in the course site -- whether you want to revisit the topics of the webinar discussions or just catch up on what you're missing. This is just as valuable as the Live Webinar Sessions -- with an added benefit: You can learn from this well of information anytime, anyplace, and not only just at the fixed times and dates when the Live Webinars are held! One year of the new Wavy Tunnel PRO SCANNER on 36 currency pairs, 7 cryptocurrencies, 30 CFD's (commodities, indices and interest rates) and 100 stocks! Include the SCANNER in your analysis to find trades that are on the move! For years our students have asked for software to go with this powerful system. We listened and responded with the Wavy Tunnel SCANNER. Let the SCANNER do the work for you to find the high probability setups. Check the markets you trade and the SCANNER will tell you which markets are in Wavy Tunnel trends! Daily Elliott Wave Counts/short videos on the following markets: EUR/USD, GBP/USD, AUD/USD, USD/JPY, NZD/USD, USD/CAD, S&P500, DJIA, NASDAQ, Russel, DAX, GOLD, OIL, Bitcoin and Ethereum. Weekly Elliott Wave counts/HD video on the following markets: EUR/USD, GBP/USD, AUD/USD, USD/JPY, NZD/USD, USD/CAD, S&P500, DJIA, NASDAQ, Russel, DAX, GOLD, OIL, Bitcoin and Ethereum. Market Analysis Blog and many Trading Tools. Find Wavy Tunnel swing trades on your favorite Stocks in the End of Day Stock and Options Analysis Room once a week. Find trades in the Weekly Elliott Wave Analysis Room. Here we review trades posted in the Forum and allow the students to show their top trade plans. It’s all about finding high probability Wavy Tunnel PRO trade setups with our like-minded community of traders who speak the same language when identifying trades. For Forex traders, join us in the NY (Mon, Tues and Wed) and LDN rooms (Mon and Thur) for the latest views on the markets. Once you complete the course, you will receive the complete Wavy Tunnel PRO setups summarized into a 9-page blueprint, showing you how to spot the setup, trigger the entry, set the stop loss, and take profits. You will also be presented with the Wavy Tunnel Method Roadmap, which is a more comprehensive summary of the Wavy Tunnel PRO trades. Bonus #6: The Wavy Tunnel PRO "Tip Clips"
There is a section in the Members Area with short video "Tip Clips" highlighting current market examples of using the Wavy Tunnel PRO. These serve to reinforce the Trade Plans so that you readily see them and can act on them yourselves in the markets. Face a problem when implementing your Wavy Tunnel PRO system, and can't wait until the next webinar to get an answer? Have a question that you think fellow traders will be interested in? Or just want some feedback on your analysis? Why not post them to the Exclusive Members' Forum. You can share your trading work, ask questions, and show examples from your trades -- and usually in the shortest time span, receive responses from our active members and team! This Private Membership Forum is where you can connect with both our team of traders and your peers, to seek advice and ideas to help master your Wavy Tunnel PRO trading techniques. Each of the 19 video modules comes with a downloadable PDF manual for your easy reference. You can also take notes, print them out, and study them separately at your convenience. Note: These are copyrighted materials and our intellectual properties, and are available exclusively for our members. I can easily call this the most valuable bonus of all. Whenever you have a question, we have an answer for you. Included in your membership is unlimited Skype, email, and phone support offered by our amazing Wavy Tunnel PRO Team. This is equivalent to getting personal guidance from our team! Use this amazing resource to the fullest to truly master the Wavy Tunnel PRO and excel in your trading. Still a little unsure? Sign up anyway! It is important for us that you are 100% satisfied with your purchase. Work with us for 4 weeks, immerse yourself in the course materials, learn the Elliott Wave Ultimate system, and put it into practice. If you are not completely satisfied with our ground-breaking program, just contact us within 4 weeks to ask for a refund. All you need to do is meet with a coach and show us proof you’ve taken 10 demo trades following The Elliott Wave Ultimate system exactly as we teach it. We do not cover any traders who “do their own thing” and do not follow the system we teach. Because the Elliott Wave Ultimate material is copyrighted intellectual capital and advanced strategy training, this material is for personal use only – you may not share this with anyone or in any public forum. We look forward to working with you! If you have a tight schedule in the near term, remember you can always do this at your own pace. In fact, you can take as long as you need to learn it all, as you will have unlimited access to our online course materials and webinar recordings. We are here to help you reach your trading goals. P.S. : Need some help to decide whether the Wavy Tunnel PRO course is for you? We can talk! I will be looking forward to talking with you! P.P.S. Rave reviews have been rolling in since the launch of the Wavy Tunnel PRO. Here's one that describes how our program transformed the trading life of a student forever. "Many Ah-Hah moments when this complex information made sense"
Jody was very good at listening to each student’s questions and problems and took an appropriate amount of time to be sure everyone was on track. It became clear, as the course progressed, that she has an extensive trading background. She shared her knowledge with us, bringing Elliott Wave analysis to life, using technical tools and techniques that helped us verify our own Elliott Wave counts, and then use them in real trading setups. - Henry S. - U.K.
approach without having to figure out wave counts!" I wanted to say thank you for your work with the Wavy Tunnel. approach to Elliott Wave without having to try and figure out wave counts, which can be very confusing in my opinion. I have been in the markets for 20 yrs as an institutional trader and use Elliott Wave on a daily basis. The Wavy Tunnel gives trade set ups and targets. It also allows me a quick glance at other markets to see where they are versus the ES. "Just one reading, and I’ve already stopped losing money!" It has helped me to clarify previous concepts, avoid simple mistakes, and gain confidence. Thus, my account is in serious “trend reversal”, going from losing to winning trades. The pace, the step by step approach, and the language makes it easily understandable for those of us whose English is our second language. I can’t wait to go over it again, making it my primary system and keep on making those positive pips! "This has dramatically changed my trading!" I have taken so many courses and read so many books. When I started with this series of modules I knew right away something was different here. By the time I got to Module 3 my trading results had done a complete 180, my profits have doubled in just a few short weeks. I'm absolutely amazed at what I'm learning! "Awesome revelations - One day I will become an AWESOME trader too!" I have learned so much already as every module is so power packed. And I know that with the insights I am gaining and the tools you describe one day soon I will be an AWESOME trader too! “I used this knowledge to make winning trades with a greatly improved success rate"
This information has been extremely helpful in so many ways. It has given me much needed confidence in predicting trend continuations and changes, and figuring out where in a trend the market is at any time. It has helped me determine where and when to open a trade and when to close and get out. She also stressed trade management, multiple take profit zones, and stop losses. Finally, the proof is in the pudding: I have been able to use this knowledge to make winning trades with a greatly improved success rate. I highly recommend Jody to anyone interested in improving their trading success. "The Missing Piece in My Trading Arsenal!" The Wavy Tunnel was the missing piece in my trading arsenal. Previously I could spot trades, make trades, and manage to break even, or just a little better, most of the time. Now, I can forecast trades accurately - get in at the top or bottom, depending on the option type I am playing, and most importantly, MAKE MONEY TRADING, finally. "Thank you for having this trading room"
Finally able to grasp the setups. It is a very powerful system. Have learned a great deal from the trading room moderators. “The best educational approach of any kind that I have seen .."
This system based on Elliott Waves is a stress free way of making constant profitable trades thru building personal trading confidence. Moreover, you and your team are spreading good vibes with tons of valuable information and everybody is available for any help thru Skype, email, and phone. Keep it up! This will be my 5th coaching/educational program that I have been involved in since I started down the path of learning to trade currencies in 2009. This has been by far the most comprehensive and beneficial program that I have experienced. I truly appreciate what you have done in offering this opportunity and I wanted to say thank you to you and your team!!! I believe if a person is willing to put in the work that is required to learn your material, it has the potential to change his life! For that I am grateful!!! "I can whole heartedly recommend the course!" The Wavy Tunnel PRO strategy helps to translate those rather confusing wave counts into a solid and actionable trading plan. The course was thorough and well organized. I very much appreciated the coaching webinars that helped support the modules. For anyone interested in trading Forex (or other instruments), I can whole heartedly recommend this course. "From The Brim of Giving Up... to Success"
The first day I was introduced to Jody Samuels and the Wavy Tunnel PRO program, I knew I had found my DESTINATION and my trading life was about to change forever. I had my doubts like most people do initially but, wow! Jody and her team, I found, were only interested in one thing, to turn the little/ordinary guy into a successful trader. The beauty of the program was that you get to learn the basics of Elliott Wave theory and internalize a STRATEGY through the Wavy Tunnel system. Although, I had developed my knowledge of advanced chart patterns and support and resistance, having Elliott Wave counts provided by Jody's team and using the Wavy Tunnel to determine entries and exits became a fantastic ROADMAP to help execute trades. (1) ANALYSIS - I am able to incorporate Wavy Tunnel, Elliott Wave Counts and Harmonic Patterns into my analysis and link them all together. This is gun powder!! (3) EXECUTION - Confidence: I enter the market with confidence based on one of the 6 entry criteria and multi-timeframe agreement. SUPPORT - This last part is often understated. I have never been in a Skype room or trading room with so many people looking at the market in the same exact way. This is really consistently powerful. It's like speaking a code language which everyone understands and you get to help others, which comes naturally to me too. This is your destination. You are literally at the front door of success forever. All you need now is to turn that knob, walk in and your life will never be the same, just like mine did. We can all have all we need in life to be successful. The decision to make it work remains ours. Making it work involves time, practice, discipline, determination and patience. The FX Trader’s EDGE™ All Rights Reserved Elliott Wave Ultimate Course is copyrighted intellectual capital and it is prohibited by law from copying, distributing or sharing this information with others. These materials are copyrighted material and are for personal use only - you may NOT share these with anyone or in any public forum. Disclaimer: Trading is risky business. You can lose all or some of your money trading. If you cannot afford to lose money you should not trade. 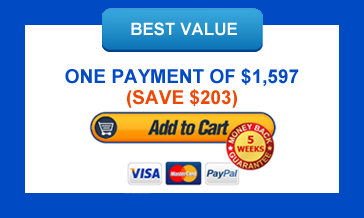 The information on this website is not intended to be construed as any form of recommendation. This information is for educational purposes only.